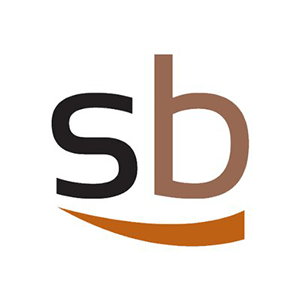 SmartBiz provides SBA loans for small businesses through their preferred banks. They offer loans from $30,000 to $5,000,000 with 10 to 25 years of repayment terms. In this article, we cover user reviews and rates. Ready to get started with SmartBiz? Apply now. Users who gave SmartBiz a positive review said that its loan officers are outstanding, very professional, responsive, and knowledgable. They are satisfied that all of the processes they need to take went smoothly. One user who gave SmartBiz a positive review on Trustpilot said that he is very satisfied with the service of the SmartBiz team because they know their job very well and guides their customers efficiently. He added that SmartBiz helped them complete their documents on time. Users who gave SmartBiz a negative review complained that their funding was released longer than expected. They added that they were asked too many questions and were required a lot of forms. One user who gave SmartBiz a negative review on Trustpilot said that it took them too long to release his funding. He mentioned that they told him he will get the funding in two weeks, but it has been over four weeks and he hasn’t received the funds yet. Depending on the size of the loan, SmartBiz’ SBA loans charges 7% to 9.25% of variable interest rate based on the prime rate plus 1.50% to 3.75%. While their bank term loans have a fixed interest rate of 6.99% to 26.99%. To qualify for an SBA 7(a) Working Capital or Debt Refinance loan through SmartBiz, applicants should be a US citizen, must be in the business for more than two years in the US and have a personal credit score of 650 and above. For the SBA 7(a) Commercial Real Estate loan, applicants must also be in business for two years and above, with a personal credit score of 675+. Same requirements apply for the Bank Term loan, but with a personal credit score of 640+ and a cash flow to support loan payments. Ready to get started with SmartBiz? Apply now. How fast can borrowers get their funds? Once the application is completed, funds can be released in as fast as seven days. However, loans above $150,00 to $5 million may take four to six weeks to be funded. What safety measures does SmartBiz employ to ensure borrowers’ data and privacy? Yes. SmartBiz uses the same high levels of security the large banks and financial services have. Users’ data are encrypted on their network using high-level encryption. They also use GoDaddy Secure Site as their third-party verification to confirm that all transactions made on their site are protected with up to 256-bit secure sockets layer encryption. Not sure if SmartBiz is the right fit for you? Read our reviews of all top lenders or check out one of these three SmartBiz competitors. The company does a lot of things well. Go to any bank for an SBA loan and you’ll end up having to do a lot of paperwork and the banks won’t always tell you what options you have when you hit a roadblock. Throughout our loan process we hit multiple snags but our SmartBiz rep was able to help us get around those roadblocks. The relationships they have with the bankers are invaluable. They know who to talk to and how to make things work. Had we gone to a bank directly I’m not sure we could have gotten our loan. As with most relationships it’s who you are working with that matters. Our rep was extremely knowledgeable which was great. But knowing what it still took I think providing case studies showing the different situations people go through would be helpful. We had to jump through some hoops to get approved and the extra education could have better prepared me for what it would take to get the loan. We were originally referred to them by Fundera and I just wish I would have known about them in the first place and saved some time. I am the co-founder of Fit Small Business. We know lots of lenders and banks. However, when it came time for us to find an SBA loan, we chose SmartBiz. We secured and took a $350K 10 year loan with their help. Many banks advertise the fact they have SBA loans. However, even if you meet all the criteria for these loans, it does not mean they will actually lend the money to you. The secret sauce of SmartBiz is they have relationship with a number of banks and will try to find the one that will want to lend to your type of business. We knew that if we did not go with SmartBiz that we would spend months finding a bank willing to do an SBA loan with an internet business. For the sake of full disclosure, we have a commercial relationship with SmartBiz in which they pay us for referring them business. Be aware, their process is not any better than applying at the banks, as soon as they get you to the website its endless, they requirements keeps coming up. I have been asked by my case manager to provide him with the profit and lose statement and sure did on Nov 28. and its been 2 weeks and had two days off in order to get all the documents they need. and he kept asking for more and more documents to provide, after all that two weeks after submitting the profit and lose he told me (OHH I’m sorry the profit and lose didn’t meet the initial requirements). DON’T WAIST YOUR TIME WITH THIIS COMPANY. Sorry to hear you weren’t able to move forward with an SBA loan with SmartBiz. It sounds like they did their best to get you to pass cash flow and DSCR requirements but ultimately couldn’t. I know how frustrating that can be, but that’s not a frustration unique to SmartBiz (or even to SBA loans). That kind of thing happen with every type of financing. If you were close to qualifying for an SBA loan but were just a little bit off, you might have luck with a StreetShares.